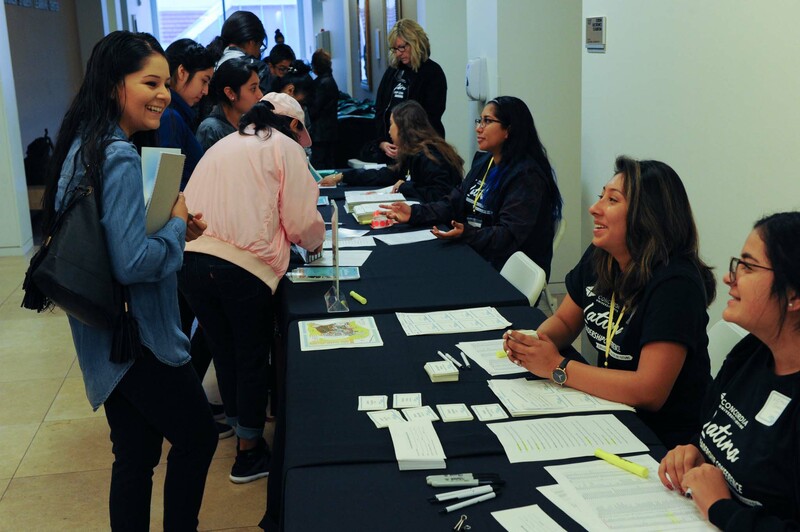 Created for high school girls in 9th-12th grade, and those currently enrolled in community college—along with one parent/guardian—Concordia’s Latina Leadership Conference is designed to help attendees navigate the road to college. 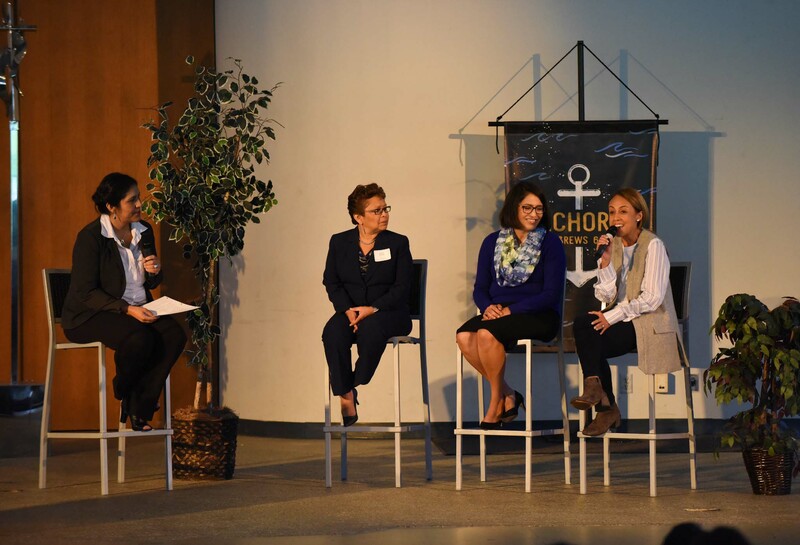 The leadership conference offers inspiring speakers, stories, college major breakout sessions, and panels—including a new panel for parents of future first-generation college students. The conference is free, but space is limited and registration is required. Check back here this summer when online registration goes live. Learn about past conference speakers, sponsors, and workshops under “Previous Years." College is not a dream. It’s a plan. Concordia University Irvine acknowledges the support of sponsors who made the 2018 Latina Leadership Conference possible. They include Silver Sponsor: U.S. Army; VIP Reception: AT&T, and Lunch Sponsor: Cox Communications. In addition, Concordia appreciates the generosity of Edison International for recognizing the Latina Leadership Conference with its first grant, $10,000 award. 2018 keynote speaker, Ambassador Gaddi Vasquez, gathers with conference attendees after his opening speech. 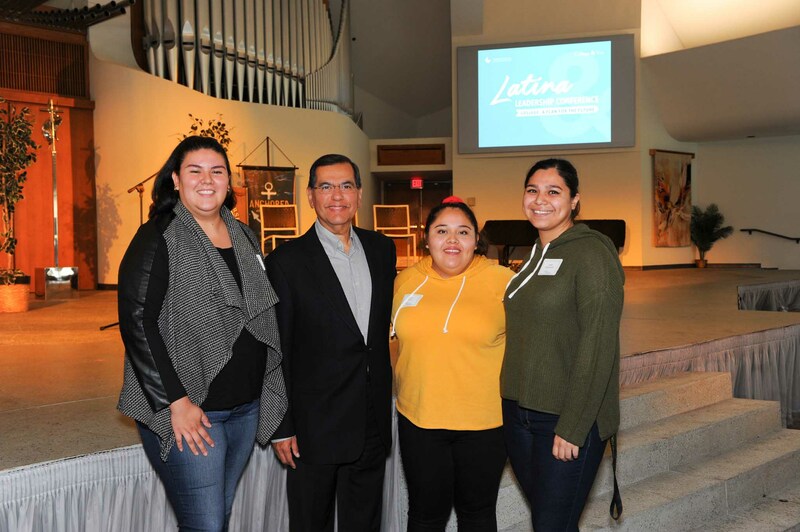 As a first-generation college graduate, Ambassador Vasquez encouraged students to work hard as he shared his inspiring story of growing up in the bracero camps of central California, to later become the first Hispanic Director of the United States Peace Corps, and the first Hispanic U.S. Ambassador to United Nations agencies. 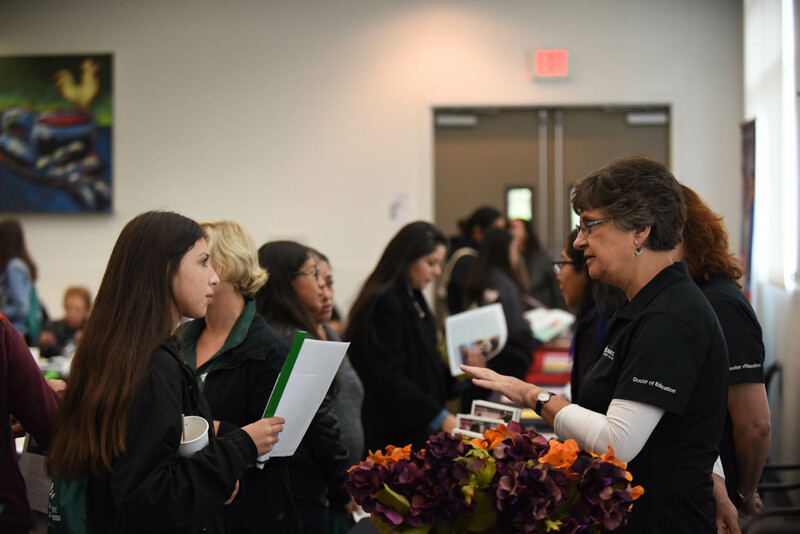 High school and community college students from the Latina Leadership Conference explore college majors and community college options at the Information Fair. Latina Leadership Conference attendees check in at the registration table to begin the half-day conference. Thanks to the generous support of sponsors, future first-generation college students learned how to navigate the road to college. 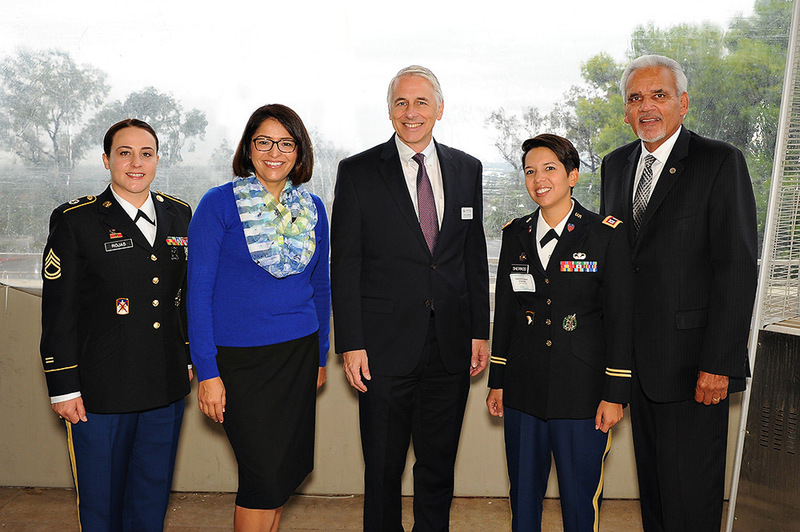 Pictured from left are 2018 conference sponsor representatives from the U.S. Army, Cox Communications; Concordia University Irvine Provost Peter Senkbeil; U.S. Army, and AT&T. In addition to learning about college majors and how first-generation professionals are using their degrees in their careers, conference attendees also heard from three Hispanic first-generation influencers who shared about how they grew up, who influenced them, their hard work, and how taking advantage of opportunities in school and life helped to pave the road to success. Pictured from left are moderator UC Riverside Public Information Officer Sandra Martinez, Irvine High School Principal Monica Colunga, Cox Public Affairs Manager Adriana Galdamez, and record executive BMI Vice President Latin Division Delia Orjuela--all Hispanic first-generation college graduates whose parents didn't attend college.